If you want to install custom software, the easiest way to do it is through a custom recovery image. All Android devices ship with what is called a stock recovery environment. This only allows for the installation of signed zip files which restricts you from being able to upload custom software. Third-party developers have created another custom recovery, known as a custom recovery, that enabled the installation of these custom files, otherwise known as unsigned zip files. A custom recovery image allows for partitioned backups, restores, factory settings, the flashing of signed zips, the chance to reboot the system, wipe the system, wipe the caches, and everything you could possibly think of that might coincide with what you’re trying to do. It is a recovery of sorts without limitations. 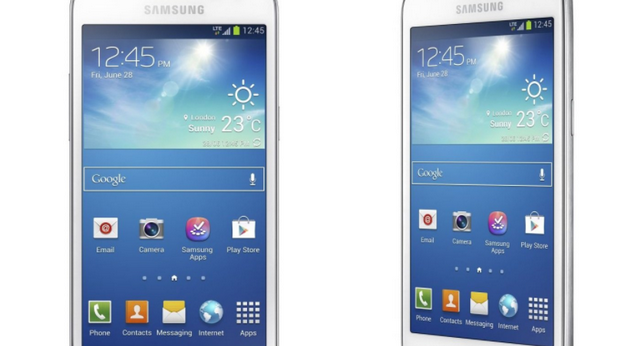 The custom recovery images available in this guide are only to be installed on the Samsung Galaxy Express 2 smartphone. Most devices have a custom recovery image developed specifically for it, and you shouldn’t install one that is intended for another device unless advised it is okay by a professional. The codename for the Samsung Galaxy Express 2 TWRP Recovery image is “wilcoxltexx.” You will see that codename in the TWRP image file path and also from your About Device menu so you know you are flashing the right file on the right device. Custom recovery images do not support official software updates. A stock update never modifies the system partition, which is different to an update that happens when installing custom software or some root applications. Once you have made changes to the system partition, you could experience instability when going back to stock software. With this knowledge, there’s certainly no need to be attempting to flash stock software updates from a custom recovery, even if it did have the ability to flash them. Root access is a different story though. If you did have root access by flashing a file such as SuperSU from the custom recovery image, then you could open the SuperSU application, choose to unroot the device from the Settings and then you would be unrooted. This has not made any changes to the custom recovery, and you would still find it there by booting the device into the recovery mode. Once you’ve installed a custom recovery, you won’t even notice it there’s, so there’s no real pressure to get rid of it in the future. But if you did want it gone, you could flash the stock recovery image file the same way you flashed the custom recovery image. The stock recovery images are usually found in the Samsung stock ROM zip files. Just find the firmware for your device, unzip the archive and then you’ll see the recovery image to flash. Or, if you prefer, you could just use a flash tool to flash the complete stock ROM, and that too would fix the problem. When you flash the stock ROM package that has the recovery image inside, it will automatically override the custom recovery image with the stock recovery image.